Why Show Off Your Brilliant Work With MyBusiness? With the MyBusiness and its fully flexible Responsive Design, you do not have to worry about what device your visitor is using. This theme looks amazing no matter what device is used to view your website. Be it phone, pad, desktop computer, or laptop. It looks great on all of them. 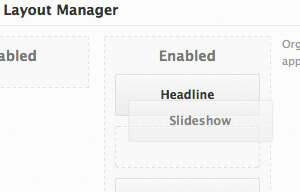 Almost every editable element of the 'MyBusiness' can be controlled via the built-in Theme Options page. With just a few mouse-clicks in the admin you can change the slider content, add images and text, control the styles plus much, much more! Guiding you step-by-step is our comprehensive Video Tutorial series to help you get going fast. Watch This Video To See How MyBusiness Works! That's Not All...MyBusiness Does Lots More Stuff. Here Are Just A Few Of The Many Features Included With MyBusiness. The slider is fully responsive with the theme and can fit any height of image. Display a title and link to any content you desire. 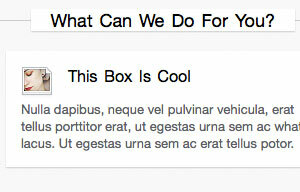 There are 3 custom content boxes you can show on the home page. These can have an image, title, description, and a button link. With our advanced WordPress theme options panel you can spend more time on your content and less time trying to figure it out. With a Multi-Level drop down menu all your content will get seen no matter how many pages you have linked together. You Will Love Your New Site Powered By MyBusiness. Guaranteed For 30 Days…or Your Money Back! It’s Time To Take Control And Use MyBusiness To Power Your Publishing. Try It Today At No Risk! MyBusiness requires a minimum of WordPress 3.3+, PHP 5.2+, and MySQL 5 or newer to function properly. 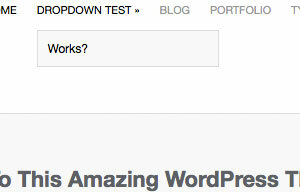 Please note: MyBusiness is not compatible with WordPress sites hosted on WordPress.com.